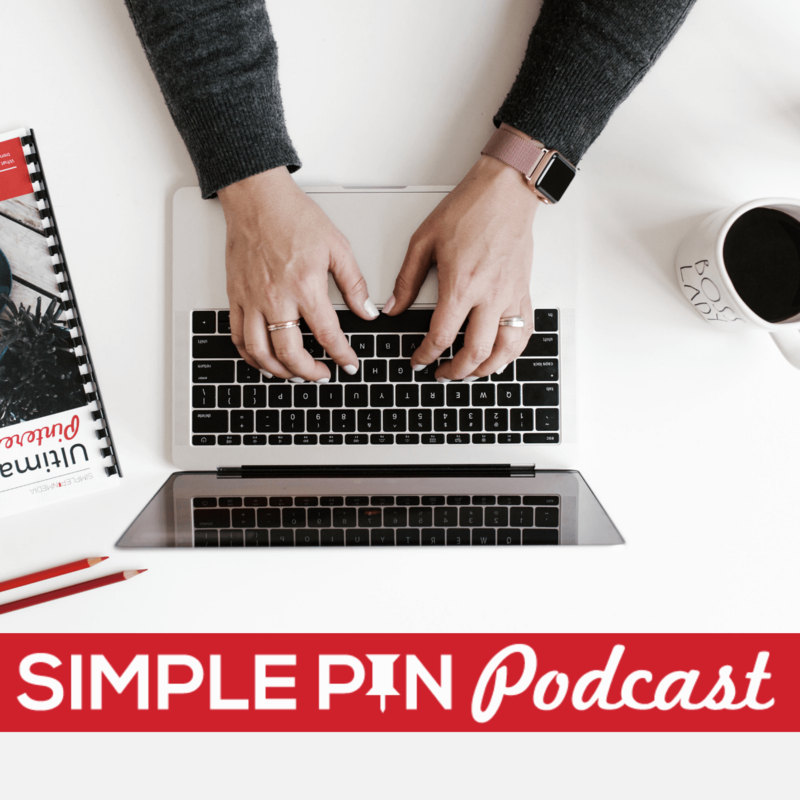 Last week I interviewed Jennifer Fishkind for the Simple Pin Podcast. Jen is a Michigan-based food/lifestyle/family blogger. Her site, Princess Pinky Girl aims to inspire women, moms and families about how to live their lives with ease, enjoyment and a little sparkle here and there. Jen writes features and articles that focus on fashion, easy cooking, holidays, DIY ideas, tips for families, and family friendly travel. I first spoke with Jen about six months ago, but we recently met face to face for the first time at Social Media Marketing World in San Diego. Jen is a ball of energy, and I know you are going to love listening to her as she shares her passion for Pinterest! Jen is what she affectionately calls, “a backwards blogger”, meaning she began on Pinterest and started blogging later. She has grown her Pinterest to over 3 million followers, and today, she shares with us her strategy for growth, her favorite Pinning tools, and why she still loves Pinterest after all these years. Jen pins a lot, and she uses some specific tools to help make that possible. With over 92,000 pins, she needs tools that do the job and do it well! Here are her top tools. Viral Tag– This is the tool Jen has used the longest.. She uses Viral Tag to schedule new pins; any time she has a new post or something to share, she uses Viral Tag to do so. Tailwind– This is Jen’s new favorite tool. As a numbers junkie, she wants to be able to see exactly what her pins are doing at any time. This “mad analytic tool” allows you to do just that. While there are other ways to get this info, Tailwind is by far the easiest. As Pinterest continues to roll out changes in their own analytics, Tailwind puts the information you need at your fingertips. Using the Pin Inspector makes re-pinning your own most popular Pins convenient and simple. In order to see exactly how your own Pins are being repinned, you need a tool like Tailwind with its Pin Inspector. Using tools like these will help you to develop your overall Pinterest strategy. Jen was what we call an “early adopter”, meaning she was one of the first users of Pinterest. Back when they first began, Pinterest recommended certain boards you should follow in order to set up your account. Jen just happened to be one of those boards. She gained her first million followers that way. But the rest has come organically, and through smart strategy. Jen still uses Pinterest just like any user; pinning authentically, blogging regularly, and being very active on social media. Over the past couple of years though, she saw her followers begin to dwindle. As Pinterest started cracking down on spam accounts, everybody suffered. She has finally begun to see real growth again over the past few months, which she says comes from being strategic with SEO, having good board descriptions, and focusing on great Pin descriptions. Jen doesn’t believe, however, that more followers necessarily translates to more traffic. The key, she says, to more traffic, is to be authentic and to give your audience what they’re looking for. Give the readers what they want. Stay current on what people are searching for and what is trending. Pin those types of things. Repin the ones that do the best using Pin Inspector. Collaborate. Working with others is key to Jen’s strategy. The more your material is shared by others, the more traffic you will get. It is important that your posts be shared through all social media channels, in order to drive more traffic to you. The more your pins are seen, the more valuable they are. Network. It is imperative that you find others that will share your posts while you share theirs. Getting into groups with other bloggers, whether through Facebook or some other channel, is a way to support others and have them support you. As you build others up, they will also build you up. And you both win. Find out how the people you know use Pinterest. Ask your girlfriends; survey your audience; ask in a Facebook group. Are they scrolling their home feed, or are they only searching for specific items? Jen firmly believes that the home feed isn’t dead. It has changed, but it is still an important part of the Pinterest experience. So you’re a new blogger and all of this sounds very intimidating…what do you do? Where do you start? Just Start! Pinterest brings you traffic. Jen has noticed personally that when her boards are active, she gets brought up more in Google’s search engine. The items that show up are not Pinterest links, but rather links directly to her website. You want Pinterest and Google to cooperate and drive traffic to your blog. So start pinning! Be Flexible. As Pinterest continues to roll out changes, it is taking longer to see new pins. Stay true to your audience; pin authentically; be patient; collaborate with others to get your pins shared more, and hopefully help you to rank higher in searches. Don’t Give Up! Pinterest is a “slow moving train.” You have to commit to stay in for the long haul. Focus on cultivating great relationships with your followers, and curating fabulous content. Find your tribe. Seek out those whom you can help and who can help you. Partner up with people. Share their stuff, and ask them to share yours. Don’t Be Afraid to Repin! You need to be repinning your own pins. If you have a pin that has been repinned a lot, then repin it yourself. Repinning moves it back to the top of your feed so that it gets seen even more. Don’t Pin something once and then never come back to it. If a pin is doing really well, repin it! As we close out the episode with Jen, I asked her what she thinks is so awesome about Pinterest. Indeed it does. Are you ready for the possibilities?